BLOX Spherical Bearing Kit - Pann Auto Performance - San Diego largest aftermarket automotive performance parts - What do you drive? 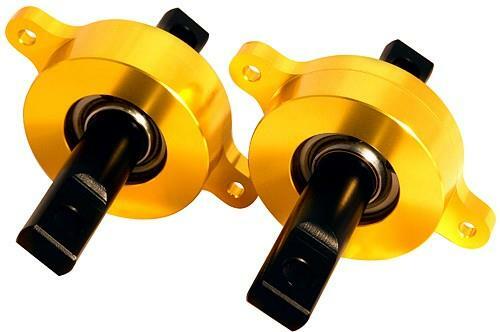 BLOX Racing offers spherical bearing kits that significantly increase the vehicle’s suspension performance. The rear trailing arm spherical bearing kit directly replaces the factory’s soft, rubber bushings. The factory bushings contribute to the “sloppy” feel experienced by many during hard driving on road courses and race tracks. BLOX Racing spherical bearing units allow your vehicle’s suspension to maintain a better and more consistent geometry during hard cornering and spirited driving. Proper geometry and set-up directly result in much better tire contact patch.